Anyone who reads this on a regular basis can probably tell that I have a fondness for hand drawn maps. However, I haven't made any myself since I was a child making up imaginary places. 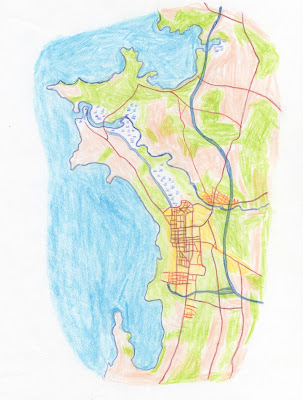 Even in my pre-computer carreer, we used special drafting equipment (a subject for another time) to make maps. 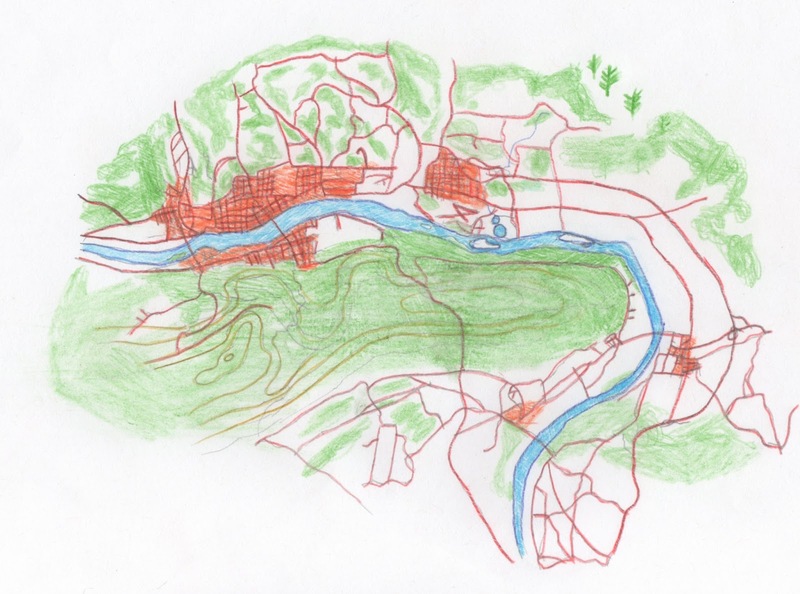 I recently began trying my hand at making maps with colored pencils. Back in the old days we would trace over US Geological Survey maps on a light table. These maps are not traced but drawn freehand after carefully looking at some DeLorme atlases. 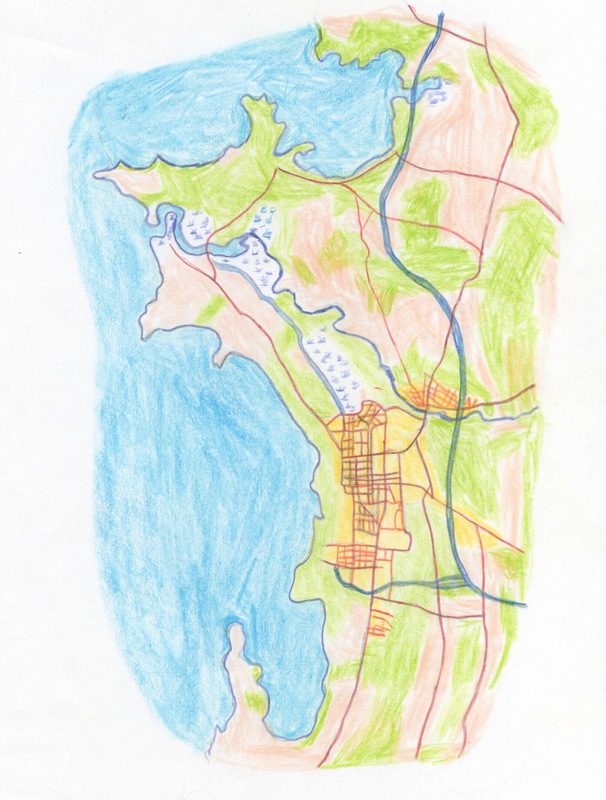 Above is a map of Burlington, Vermont, a city I have spent a fair amount of time in and know the landscape of well. I used a similar color scheme to the DeLorme atlas and was pleased with the level of accuracy. Not every street is shown, just enough to give an idea of the street pattern. Next, I tried Williamsport, Pennsylvania, a city that I've only driven through the edges of but one with an interesting settlement pattern. This was more of a challenge as I am much less familiar with the area. The map got gradually less accurate and more impressionistic the further I dug into it. It was liberating when I gave up on the idea of trying to be too accurate. I don't have a new project yet but I hope to continue in a more impressionistic direction and to find a different map source to add some variety of looks and scales. Williamsport is where June Springman’s father came from.